A majority of poker courses out there focuses on a particular segment of the game, be it cash games, tournaments, or live play in general. Rarely do we see a course that comes equipped with a kind of knowledge that covers all these and other areas all in one. That’s what really makes the Upswing Poker Lab (more info here) stand out from the crowd and well worth the money if you are starting out with this game. The course covers everything, from the very basic No Limit Hold’em strategy, over advanced concepts, to MTTs and even live play – plus some extras. So, it is a bundle of poker knowledge organized in logical groups and units. Different courses and segments of the courses are provided by some of the game’s best, so players can really expect to gain invaluable insights from the Upswing Poker Lab. And, since everything is neatly organized, you can take one segment at the time and really focus on improving that particular segment. 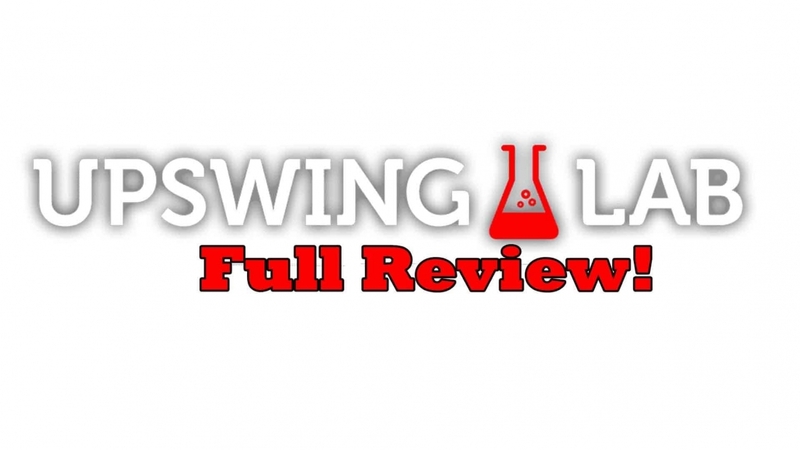 In this Upswing poker lab review, we’ll look into these particular parts of the Lab to see what it is that they offer. Of course, this is a very extensive poker course, so it is impossible to go into too much detail without making this review 10,000+ words, but it should provide you with a pretty good idea of what you can expect to find in there and how this knowledge can help you improve your game depending on your particular needs and requirements. If you’re looking for a course that will introduce you to general poker concepts and fundamental strategies, the Lab Core Strategy segment has you covered. With 27 written lessons and videos to go through, this segment introduces discusses everything, from the core poker terminology you’ll need to keep up, over strategic basics, to outside factors such, poker software, bankroll management and mental game considerations. It is worth mentioning that this particular segment is delivered by Doug Polk, the Upswing Poker founder himself and a highly successful high stakes pro whose credentials speak for themselves. In these videos, Polk explains how you should be looking at poker in an organized and understandable fashion. For many new to the game (or at least to these concepts), this is an important first step towards becoming a good player. Without understanding these core ideas, it is virtually impossible to properly understand any later talks even about basic strategy, let alone some more advanced concepts. 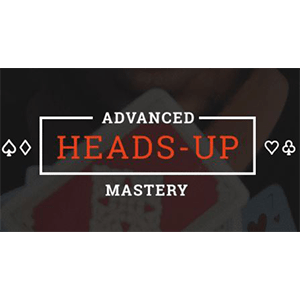 This introductory segment is what’s really missing from many poker courses targeting novice players as they kind of assume everyone is familiar with concepts such as ranges and categories of hands. However, for many players, these could be completely new, which can make it hard to keep up with what’s being discussed. So, these first few introductory videos are really a must-watch if you aren’t familiar with poker terminology and it might finally demystify some of the terms that you could have been confused about before, simply because no one took enough time to explain it properly. After explaining these core ideas and terminology, the course continues to deliver well over a dozen videos covering basic strategy considerations. Many of the things discussed in these videos are nothing new to those who have been playing seriously for a while but they can be a real eye-opener to someone who’s been playing poker recreationally and has been trying to improve their game. This is just a brief overview of what you’ll find inside the Lab Core Strategy segment. All these various concepts are actually broken in several videos to cover specific angles, i.e. playing as the aggressor or playing against the aggressor, different bet sizing ideas depending on what you’re looking to achieve, etc. Keep in mind that this is a course intended primarily for new players (although there is definitely some value in it for seasoned players as well) so things are explained in a fairly simple and straightforward manner. Doug does a good job of bringing these various ideas down to earth and explaining them in a way that is understandable and logical for those just starting their Hold’em journey. The majority of videos are about 15 minutes long, which is about the perfect length to clearly present and explain core ideas without making things too complex and making you feel lost along the way. These relatively short chunks make it easy to keep up with what’s being discussed and maintain the focus throughout. The bankroll management and game selection lessons bring across some valuable points about a larger picture. 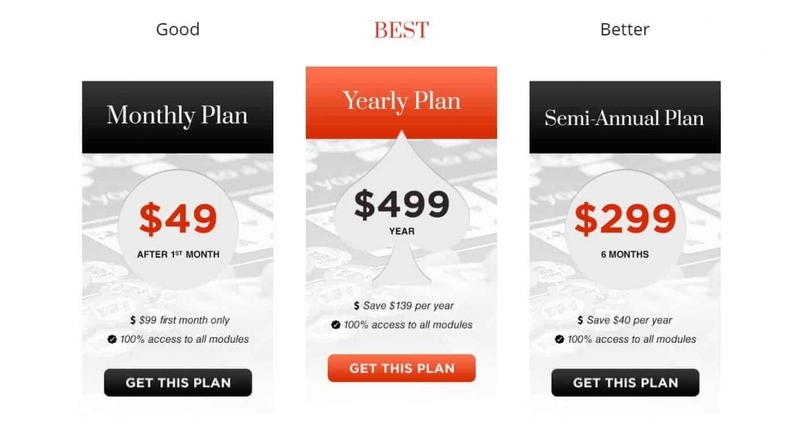 Planning for poker success actually takes place away from the tables, with figuring out the kind of stakes you can afford and the kind of games you can beat. To be successful, it is essential to get all these pieces of the puzzle in place and these lessons will steer you in the right direction. Finally, the mental game segments offer insights into some of the most common issues every poker player has to deal with: tilt, variance, dealing with pressure, and maintaining a healthy life balance. Some of these things may not seem as important if you’re just starting up but they’ll definitely be valuable down the road so you should invest the time and read all of them to prepare you for the things to come. The Core strategy module delivers many of the fundamental strategies and ideas required for anyone looking to play good Texas Hold’em. However, as long as that module is, it actually just scratches the surface of the game that is inherently so complex and demanding that it is virtually impossible to completely decipher. However, the Upswing Poker Lab certainly goes a long way towards that goal in their next module, entitled Beyond Core Strategy. 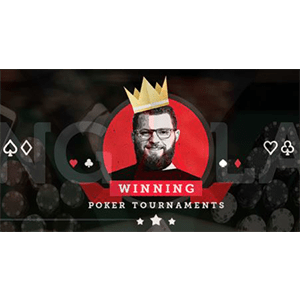 It is primarily delivered by Fried ‘mynameiskarl’ Meulders, a successful online cash game player who may not be a big “star” but has impressive results over a huge sample of hands, making him more than qualified to deliver on what’s being promised. And, what’s being promised are concepts going beyond the fundamental strategy and taking things to that coveted next level. Most players who have been around for some time already know that core strategy (more or less), so, to beat them, you’ll need to also understand some more complex ideas. All of the videos are full of actual gameplay examples so that all the theory is actually tested in practice and backed up by real results. This section alone covers a lot of ground and it can take a while to get through but it will definitely open your eyes to some novel concepts and ideas that you can incorporate in your play. Aside from all this, there is a nice video entitled 20 Rules for Playing Flush Draws covering some basic rules to live by when trying to figure out what to do with your flush draws. The video is over half an hour long so you’ll find many interesting and useful concepts covered in there, which also serve as a sort of introduction for the individual videos in the section. 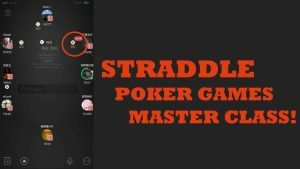 Navigating multiway pots might be one of the more difficult things in No Limit Hold’em poker in general because, instead of having to figure out just one opponent, you have to figure out multiple opponents, their ranges, and account for their potential actions and how these will influence your odds and chances. Videos are further broken down according to board textures (high and low boards) and their favorability for the big blind (in the big blind play subsection). While it is impossible to answer every possible question that comes to mind when talking about multiway pots in No-Limit Hold’em, these videos really offer many valuable insights and will definitely help you improve your play in many sticky situations. In Hold’em, things really get heated up when you find yourself in a 3-bet or a 4-bet pot, as your stack to pot ratio diminishes and every single decision becomes more important as you’re forced to decide for a higher percentage of your chips. As with the rest of the module, all these ideas are discussed across dozens of actual in-play examples originating from the micro and small stakes, i.e. the group of players the course is primarily intended for. Meulders also takes a lot of time to explain some additional ideas as they appear during the hand so he goes into some other concepts such as going for value and figuring out where you’re at in a hand, which is a nice bonus. Extracting value in poker is one of the most important things to understand and adapt, which is why Doug Polk takes over to deliver 9 videos talking about the idea of overbets, i.e. betting bigger to get the maximum value or improve your fold equity. Doug firstly goes in depth to explain basic motivations behind overbets and also why overbets are under-used in practice. Some of these ideas are definitely somewhat “out there,” which also means that this can be a powerful weapon because of all the mental implications connected to betting big for a relatively small upside. After explaining the reasons and motivations, Polk goes on to explain various situations where overbets can be most effective. He also goes into spots where betting really big should probably be avoided. In general, although this is an idea that you won’t utilize nearly as much as some of the other strategic concepts explained in the module, these videos are well worth watching because they contain the “out of box” approach that is usually a staple of all successful players. So, listening to and understanding the reasons for these ideas can help you tremendously improve your overall gameplay. The rest of the course covers many other interesting concepts, such as playing with a deep stack, blind vs. blind, and more. In these videos, you’ll find a lot of useful advice on how to differently approach some common spots and really make things either easier for you or more difficult for your opponent. The deep stack play segment is particularly interesting in this group as it includes 12 videos dealing with situations where we have 200 big blinds or more in front of us, which isn’t unusual when playing longer cash game session. As stacks get deeper and there are more blinds in play, things start to change significantly and we need to adjust our decisions accordingly across all streets, starting with the preflop. For example, with deeper stacks, people are more inclined to defend wider from the big blind, which should influence our raise sizing as well as our continuation bet on different boards, etc. Overall, there are many hours of footage in this module, with in-depth explanations and many real play examples so there is plenty of knowledge to be absorbed. The Beyond Core Strategy module can be seen as a continuation to the first part of the course but it can also be viewed independently if you’re someone who already has his or her basics down and is now looking to expand your play beyond that first level. Multi-table poker tournaments (MTTs) are probably one of the most popular formats of No Limit Hold’em. Thanks to the fact players can play poker for very low buy-ins and enjoy a lot of play time while competing for large prizes (relative to the buy-in), MTTs are equally attractive to recreational players and pros. 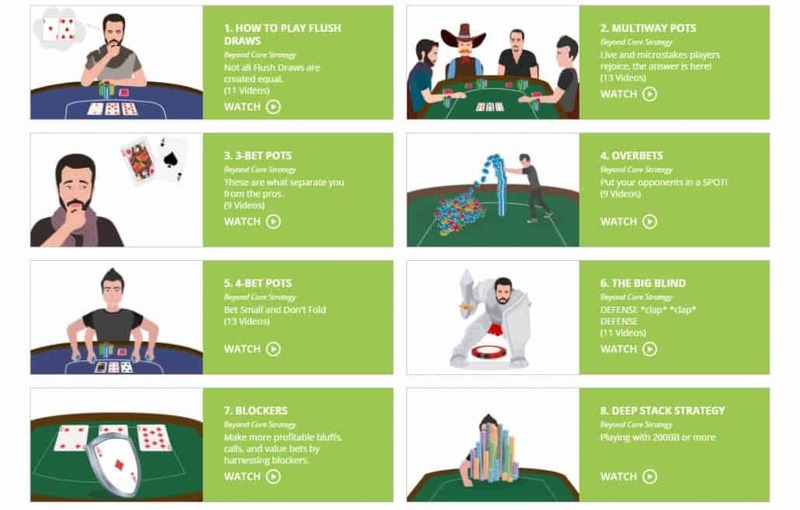 So, it is no surprise that there is an entire module of the Upswing Poker Lab devoted to MTTs. 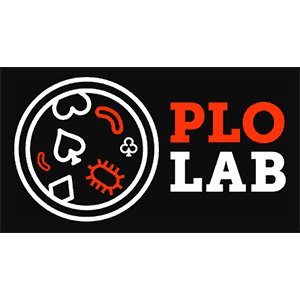 One thing to keep in mind is that this tournament-specific course does suppose that you already have the basic ideas and concepts covered, either from watching the first two LAB parts or by being someone who already has a good grasp on the fundamentals. Lessons are delivered by Polk and Ryan Fee both, taking turns to explain different topics along the way. 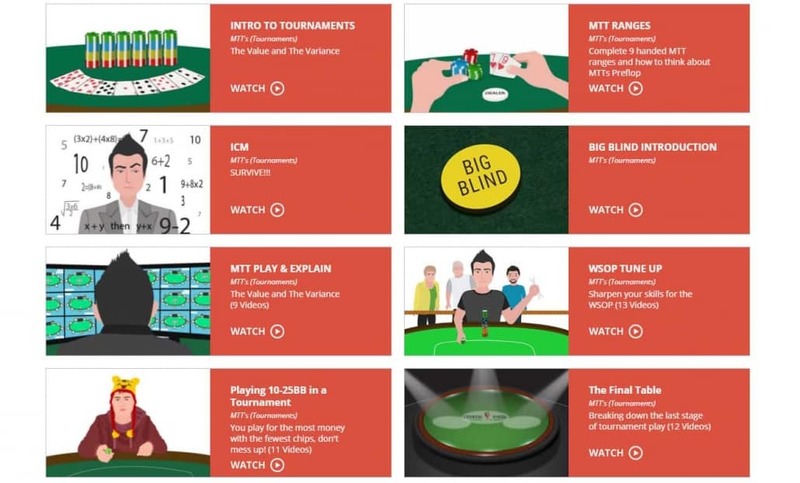 The first video in this module is an introduction to tournaments, explaining the dynamics and expectations from MTTs. It is aimed at current tournament players but also those looking to start with tournaments or switch over from cash games or other formats. Tournaments, in general, are a great value because they attract recreational players like no other format because they offer a kind of story and also a chance to turn a small buy-in into a large amount of money. On the flip side, becoming really good in tournaments is fairly difficult because MTTs require constant strategy adjustments because stack sizes constantly change, there are ICM considerations, etc. From this general introduction, the module continues on to the video explaining hand ranges in MTTs. The video is delivered by Doug Polk and it goes fairly in-depth about the differences between cash games and tournaments in terms of your preflop ranges. In cash games, things are fairly standardized, so figuring out your ranges is somewhat easier. In MTTs, with increasing blinds, antes, and ICM considerations, the hand selection becomes a constantly changing process. The video on ranges really goes on to cover some important points to consider when just starting or transitioning from cash games instead and delivers quality and really useful content. ICM (the Independent Chip Model) is a concept only applicable in tournaments as it is non-existent in cash games. In cash games, every chip is worth its face value, i.e. one dollar won is one dollar you can cash out and take with you. In tournaments, this isn’t the case, because money is distributed in a different way, through prizes for finishing in a certain position. So, to give you an idea of what your chips are worth at a certain point in a tournament, the ICM model was invented. This is very important for any serious tournament player to understand and the one that many players seem to overlook, so this 20-minute video on ICM by Polk is definitely an invaluable source of information. In it, he explains how the values of your chips change over the course of the tournament and how you should change your strategy accordingly to maximize your expected value. The video also covers situations where you’re a middling stack near the bubble and how this puts players in an awkward position, where they need to secure that min-cash first because there is such a big difference between being eliminated before the bubble (zero) or after the bubble bursts. Overall, this is a very good video that really brings across the whole idea of ICM, what it is, how it works, and why it exists in the first place. Having ICM in mind at various points throughout a tournament is necessary for all good MTT players, even if you don’t know the exact math behind it. It is important to keep in mind it exists and it (should) influence the way you play. In tournaments, playing from the big blind is probably the most important position, which is why one video in the module is fully focused on big blind play. Playing from the big blind is extremely challenging because you have to put the chips in with a random hand and out of position, so your main goal isn’t to actually win from the big blind (which is extremely hard) but to actually lose as little as possible. Once the antes kick in, the big blind will often have great pot odds to call and see a lot of flops with fairly weak hands. Ryan Fee makes some interesting points about this, showing that in terms of raw equity, even calling with a 72o against a fairly strong range opening 2.5 big blinds is slightly profitable. Of course, raw equity isn’t all we need to look at in these spots but it is definitely something to think about when figuring out our big blind defense ranges. To help figure this out, he lays out some logical rules to follow in big blind defense scenarios, making it easier to predict if the hand will realize, under-realized, or over-realize its raw equity. The fact that we’re out of position definitely works against us realizing our full raw equity; suited hands realize its raw equity much better than their unsuited counterparts, etc. The video lasts about 25 minutes and it is really helpful in terms of figuring out how wide we need to be defending when in the big blind and all the implications that come with it, such as facing continuation bets on the flop. Of course, the video considers some standard-sized opens and disregards abnormalities such as 5x preflop raises. One of the areas of tournament play that’s really important to master is the short stack play, i.e. playing with the stack between 10 and 25 big blinds. For players transitioning from cash games, this can be a real struggle because it is a concept they are just not used to, seeing how barely anyone ever plays with a <50bb stack. With this being such an important and extensive topic, there is a lot of material covered in the videos, all accompanied by a number of examples to get different points across, especially in terms of how they relate to ICM. Almost everything you do in a tournament has to do with ICM considerations and when you’re on a fairly short stack, meaning you’re putting your tournament life on the line, this becomes even more important. The segment is delivered by Ryan Fee with the assistance of Parker ‘tonkaaaa’ Talbot, which is a well-known player streaming on Twitch. In tournaments, the final table is where you want to be. It is where all the big prize money is contained and, in an average tournament, every player that busts out before you on the final table means that you made a pay jump, earning more money for simply sticking around a bit longer. At the same time, the biggest rewards are usually reserved for those players finishing in the top two or three spots, with the winner getting the lion’s share of the cake. This segment is delivered through a number of different final table reviews played by ‘tonkaaaa’ looking into a number of different scenarios with short, medium, and large stacks, and different table dynamics, getting all the various points across. In the videos, Fee and ‘tonkaaaa’ discuss things such as ICM and analyze many different hands and difficult spots along the way. These videos feature a much more hands-on approach instead of theoretical stuff so they provide players with a chance to learn from real-life situations. Although the focus is on the final table play, Fee and ‘tonkaaaa’ bring up many different ideas discussed in earlier lessons and discuss them on actual examples that come up along the way, making it a sort of review of everything that’s been taught up to that point, which is definitely a nice way to recap. The rest of the videos in the module consist of play examples. 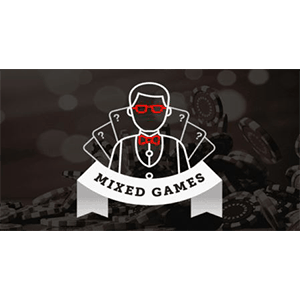 Some of them are focused on specific areas, such as 3-bet pots, while other videos are of a more general variety, covering different aspects of MTT play. Through all of these videos, all of the concepts and ideas discussed in previous lessons are brought to light time and time again, really bringing some of the points home through actual play examples from various tournaments. Being able to see how these various ideas play out in real life scenarios really helps make them even clearer and much easier to fully understand. 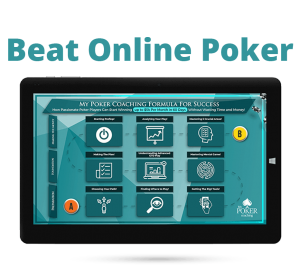 A majority of poker courses out there are geared primarily towards online poker play, which makes sense since most people looking for these types of training materials are primarily online players. However, most of us do occasionally play live as well and having some resources to fall back on in this particular area would be very helpful. This is where the Live Poker module of the Upswing Lab comes in. 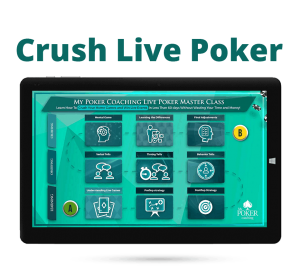 Although it isn’t as extensive as some of the other modules, it covers some specific points that relate to live play, but if you are concentrating on this specific format, you may want to check separate course on how to crush live poker. However, if you happen to jump into live games just occasionally, this course will help you build a solid starting point, avoid big mistakes and have a good understanding of how to adjust your strategies. Naturally, all the strategy considerations from previous modules still apply in live games as well, but there are some aspects that deserve special attention. The module is delivered by Doug Polk, Ryan Fee, and Mike Finstein. Several videos in this particular module explain Upswing’s approach to live poker. With the live game being so diverse and not as technical as its online counterpart, there are different ways of tackling it. This module presents one viable alternative presented by Mike Finstein, a player with a lot of live experience, especially after Black Friday. Finstein firstly explains his own background and poker development, which gives those watching an idea of where his experience comes from and why he is qualified to deliver what is promised in the module. For him, personally, one of the reasons why he’s always preferred live is the fact he’s always found online not just tougher but more mentally draining. At the same time, playing live, he could put in long sessions with no problems. This is an issue that many poker players have faced so they’ll probably be able to identify themselves with Finstein in that regard. After the introduction, the first video goes on to explain how to approach and think about live poker, considering all the different variables that just aren’t the factor when playing online, as we have access to limited information. With live games usually being not as technical as well, figuring out your ranges and how to play your hands for value becomes a completely different ballpark. Other videos in this particular section also talk about the importance of picking the right casino and carefully choosing your playing times. Of course, not everybody has access to the same type of selection depending on where they live and what kind of casinos and poker rooms are in the area, but these general guidelines are good to keep in mind regardless. Finally, several videos cover some live hand examples with the focus on many specific points discussed in the module. These few examples try to get certain points across, especially pertaining to how people’s ranges are quite different in live games and how they require more adjustments to really maximize your value. A sub-section of the Live Poker module deals with live poker dynamics and covers some important aspects of live games in terms of how they play, what players’ tendencies are, and what kind of adjustments are required to play successfully. 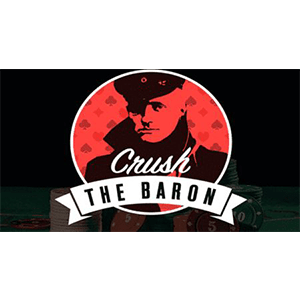 In the videos, Ryan and Mike even discuss particular games, such as the ones found in Bellagio or Aria, so they provide some insights into actual games available in Las Vegas, which can be a very valuable knowledge for someone looking to play live cash games. Some of the analysis found in these videos has to do with types of players found in different live games, how they react in tricky spots, and where you can expect to make the most money. Some of the other things covered in this particular section talk about things such as getting live players to show you your hand, hero folds, navigating your way in multi-way pots (which are much more common in live games), etc. Overall, the section on the live dynamics really provides some food for thought even if you’re a lower stake player. Although the majority of examples are from $5/$10 games, everything that’s being discussed applies perfectly well to lower games, like NL200 or NL500. So, whether you’re someone just looking to get started with live poker or someone with a certain amount of experience under your belt, these videos have a lot of valuable information to absorb. One section that is certainly a bit out there and that might be rather new to most players has to do with the Bayesian approach to live games. In essence, this approach has to do with tactics based on prior probability and adjusting your play on general population tendencies. It moves away from the online GTO poker model and adopts some exploitative plays as a part of the overall strategy. In essence, Bayes’ theorem is based on updating a prior probability based on the newly discovered information. In terms of poker, this means that we need to make predictions about players that we’re playing against based on general tendencies instead of sticking to a theoretical approach, in which everyone is supposed to play a good, well-balanced game. Things discussed in this particular segment can be a real eye-opener, especially for someone used to online games, where the quality of play is generally much higher. In live games, there are many players you can take advantage of in various ways and maximize your profit, it is important to understand what adjustments are required. Like with the rest of the modules, this one also includes a good amount of hand examples where all the different concepts, ideas, and adjustments are further dissected through actual hands from real games. All of these are hands that Finstein was involved during his sessions so they aren’t some theoretical situations but rather real hands involving real live players. Hands discussed in the analysis videos come from $5/$10 deep and $25/$50 games at Hollywood Park and from the Poker Night in America show, so there are definitely some interesting spots and situations that are being dissected. Although they’re called “mini courses,” these also contain several hours’ worth of footage, explaining many aspects of using the HUD (Heads Up Display), understanding and working with database software, explaining the GTO (Game Theory Optimal) concept, and much more. Unlike the rest of the course, these videos aren’t broken down in particular sections in terms of strategic ideas presented in them. Instead, they represent a sort of mix where different ideas are discussed and reiterated as they appear during the analysis and breakdowns. The section is definitely not a must-watch in terms of understanding and being able to apply what’s been discussed and presented in earlier modules. However, it’s a lot of additional content you get for the same price and there is definitely a lot of added value in watching these. You can take your time with them, though, since they are more of a way to solidify your knowledge and keep things fresh in your mind. Of course, if you do need some help understanding and setting up the HUD and database software, then some of the videos will provide a lot of useful advice to do exactly that. So, if you’re new to the HUD concept and need some help with that part, you should definitely check these out. At first, you may think that this is a huge investment, but Upswing Lab offers different plans to choose from, so you will find one that fits your needs. Moreover, you should see this as it is – AN INVESTMENT. If you implement at least half of these tips, you will be improving your game at once and making back much more on the way! That being said, you can make it even a better deal with Upswing Poker Lab Promo Code MYPOKERCOACHING, and get your additional $25 discount! All in all, it must be said that this Upswing Poker Lab review clearly shows that it is one of the best whole-encompassing poker course. While there are many advanced poker training courses out there (and on the Upswing poker site itself) addressing different segments of No Limit Hold’em, the Lab is the only one where you’ll find pretty much everything you need in one place when starting out. From the very basic, fundamental strategic concepts to advanced game ideas, the course contains everything you need to take you from a novice to a very solid, or even advanced player. Separate modules on MTTs and live play are welcome bonuses because they address the needs of particular groups of players. While general strategic concepts apply to Hold’em across the board, there are clear differences between various environments such as cash games, MTTs, and live cash tables. These courses really highlight these differences and point out the required adjustments and deviations that are required for success. So, the Upswing Poker Lab is well worth the investment, especially for someone making their first steps towards becoming a serious and profitable player. However, the knowledge contained within and delivered by some of the game’s proven winners is just as valuable for more experienced players as there are always concepts and ideas that can be acquired or expanded upon.